There is growing recognition today that pharmaceutical drugs are simply not the solution for the hundreds of millions of people suffering from chronic health conditions, including autoimmune diseases where the body’s innate immune system mistakenly attacks healthy organs and tissue. Fortunately, in the world of conventional medicine, increasing numbers of doctors and healthcare providers are being trained in a new approach to addressing chronic illness. The field of study is called “Functional Medicine”. 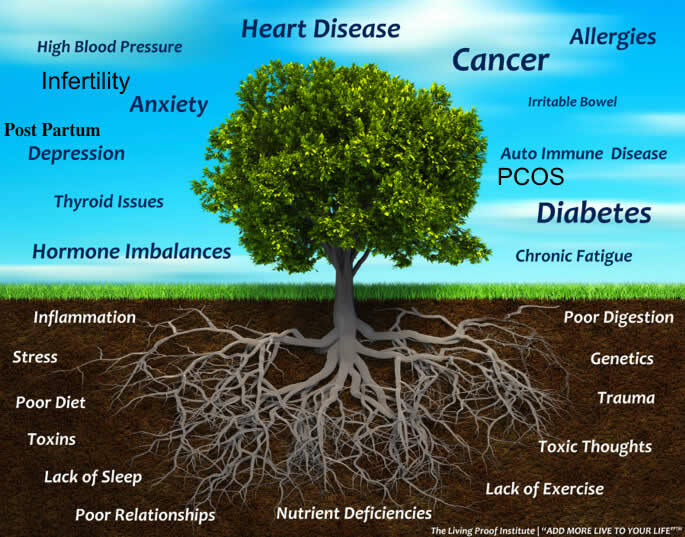 Essentially, Functional Medicine advocates shifting the focus of medical practice to a patient-centered approach, considering the whole person and dealing with the underlying cause of illness to allow the body to heal naturally; rather than just looking at and trying to suppress the symptoms of illness with various medications. Functional Medicine is being hailed by many practitioners as an evolution in the practice of conventional medicine, which addresses the health care needs of the 21st century. In Contrast, What is Functional Healthcare? Ironically, Functional Medicine is actually fueling a movement towards what has long been recognized as natural or biblical-based medicine. Simply put, our bodies are designed by the Creator to be healthy. For this, all of our systems need to be operating in balance and harmony – everything needs to be functioning properly. However, things needed by the body to achieve balance and function at its best might be missing, or something might be standing in the way of its best functioning. In this context, from a Pastoral Science and Medicine perspective, there is no need to diagnose and treat or attempt to identify and cure an illness or disease. And as noted clearly before, PMA licensed practitioners do not practice medicine or prescribe medications. In contrast, the focus is simply on addressing deficiencies and/or malfunctions, restoring balance and improving function through entirely natural means appropriate to your particular situation, and allowing your body to heal itself. Since Pastoral Science and Medicine practitioners focus on how the various systems in your body are functioning and correcting deficiencies and/or imbalances that may be prohibiting optimal functioning; the guidance you receive from us can be referred to generally as Functional Healthcare. Is Functional Healthcare Right for Me? Are you under a lot of stress at work or at home? Do you often feel tired for no apparent reason? Due to family history, do you believe you at a higher risk for diseases such as: heart disease, diabetes, cancer or arthritis? Is losing weight difficult, while gaining weight seems unavoidable? Do you often eat or crave foods like pasta, chips, and sweets? Do you have trouble remembering things or concentrating? Do you wake up tired and wishing you could go back to bed? Have you taken tests only to be told “Everything’s OK,” but you still feel lousy? Are you taking supplements, but feel they’re not working? If you answered yes to any of these questions, it is likely your health can be substantially improved by making adjustments to your lifestyle choices. Your body can repair itself if supplied with the right materials and environment, and provided you are willing to spend the time necessary to make the repairs. With the right roadmap, it is possible to get back on the road to vibrant health! After all, doesn’t it make sense to regain your health and prevent future illness, instead of spending your time, money and heartache trying to suppress the symptoms of disease with expensive medications but without getting well?